Transportation is in transition. City populations are rapidly growing, and residents are using rideshare and public transit more often. According to the new eBook, Autonomous Vehicles and Our New Mobility, the increase in Transportation as a Service (TaaS) is driving a future where individual vehicle ownership may no longer be as convenient, or cost-effective, as shared ridership. The shifting mobility also impacts the movement of goods. Driver shortages, safety and efficiency are issues facing companies that haul cargo on roadways, whether long distance in heavy-duty semi-trucks or last-mile deliveries in medium-duty trucks and vans. The rise of autonomous vehicles could mean billions in safety, collision repair and operations savings, not to mention reductions in greenhouse gas emissions with AVs primarily built on the electric vehicle (EV) platform. Experts predict the AV tipping point, when AVs are more efficient than owning and operating vehicles, could happen within the next three to five years. 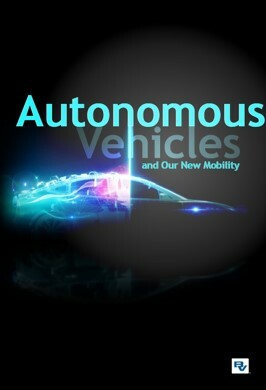 Black & Veatch’s new eBook was developed to help all stakeholders understand and plan for AVs. The free download provides an analysis of market and societal factors accelerating AV adoption and the infrastructure requirements needed to enable this transportation evolution. As with all emerging technologies, partnerships will propel autonomous vehicles, and through timely collaboration, the industry will be able to plan and establish supportive charging, electric utility, and communication networks. Combined with a regulatory framework that encourages innovation, these essential digital infrastructure networks will enable the most significant transportation evolution to hit the roads in several decades.